Your locally-owned and –operated service and care experts, BBD Tree Service is here to provide you with knowledgeable oversight for your trees. From tree trimming to tree pruning, whatever your tree needs may be, we’re here to satisfy them to the fullest. Call us today for a free estimate on services. 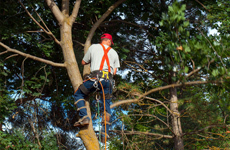 Proper tree service in Newton, MA starts with choosing talented, experienced experts. At BBD Tree Service, we have years of experience behind us when it comes to all phases of tree care. From trimming to pruning, our professionals know what it takes to keep your trees thriving. No matter the type of tree, its size or its age, we take pride in delivering a customized level of care to every tree we work on. The result is a tree that thrives, growing healthfully for years to come. We work quickly, safely and affordably, giving our customers complete peace of mind that they’ve made the right choice for tree services. Is it time for your tree to come down? We’re also your first and best option for tree removal in Newton, MA. From dead trees to those that have overgrown themselves, to those that may pose hazardous, we can coordinate the removal of any tree on your property. We invite you to see for yourself why we’re the foremost authority on tree services, no matter what your trees may need. We handle trees of any size and are knowledgeable in all varieties native to the area. We’re a local, family-owned and –operated company and have been since 2000. Our experts offer a full range of services, to tend to your tree in any capacity. We’re on call for 24/7 emergency services. We’re pleased to offer a free estimate on any of our services to prospective customers. If your tree needs a quick trim and prune, or you’re dealing with a tree that needs to be cut down completely and removed, know that we’re standing by, ready to help. Contact us today!